Wai is a town in Sātārā District, in Mahārāshtra state, India.Located on the Krishna River, Wai was a town of some prominence in the days of the Peshwas. On the 16th (Thu), don't miss a visit to Menwali Ghat, then make a trip to Nana Phadnavis wada, and then don't miss a visit to Kalubai Temple. For more things to do, where to stay, maps, and more tourist information, go to the Wai driving holiday planner . Pune to Wai is an approximately 2-hour car ride. You will leave for Mahabaleshwar on the 17th (Fri). Located high up in the Western Ghats, the hill station of Mahabaleshwar sits above one of the only evergreen forests in the country. 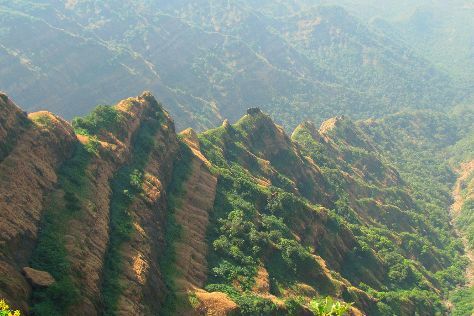 Step out of Mahabaleshwar with an excursion to Parsi Point in Panchgani--about 34 minutes away. There's still lots to do: take some stellar pictures from Arthur's Seat, steep yourself in history at Mahabaleshwar Temple, make a trip to Panch Ganga Temple, and contemplate the waterfront views at Venna Lake. To see maps, reviews, ratings, and other tourist information, read Mahabaleshwar trip maker tool . Getting from Wai to Mahabaleshwar by car takes about 1.5 hours. Wrap up your sightseeing on the 20th (Mon) early enough to travel to Velneshwar. Your day-by-day itinerary now includes Lord Shiva Temple, Harihareshwar Beach and Shree Velneshwar Temple. Start off your visit on the 21st (Tue): don't miss a visit to Shree Velneshwar Temple, contemplate in the serene atmosphere at Lord Shiva Temple, then kick back and relax at Harihareshwar Beach, and finally enjoy the sand and surf at Velneshwar Beach. Planning Velneshwar trip won't be overwheling when you use's Insprock itinerary maker. You can drive from Mahabaleshwar to Velneshwar in 4.5 hours. Wrap up your sightseeing by early afternoon on the 21st (Tue) to allow time for travel back home.